In the early 1950s a group of people interested in sharing Swedish culture formed a group to pursue the purchase of property as a place to gather and enjoy the great outdoors as they remembered in Sweden. The group was comprised of people living in Chicago and the surrounding suburbs. On April 3, 1953 Vasa Park was purchased. The original Park was comprised of 50 acres. In future years 25 of the original 50 acres were sold. Today the Park is approximately 25 acres. On May 12, 1999 the Park was incorporated with the Illinois Secretary of State as Illinois District Vasa Park Association. 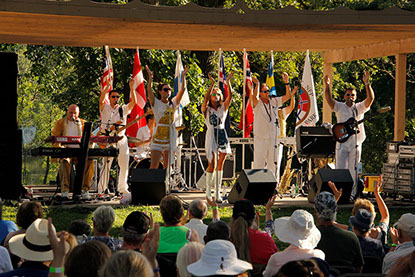 The Park was enjoyed for many years and in 1979 the idea of a Scandinavian Day Festival was born under the direction of Walter Anthonsen and the first festival was held in September of 1980 and continues today. In 2003 due to changing times, representatives of all five Scandinavian countries came together and Vasa Park was incorporated as a not for profit organization under the name of Scandinavian Park, Inc. Vasa Park retained its name but is now managed by representatives of all five Nordic countries who sit on the board of Scandinavian Park, Inc. 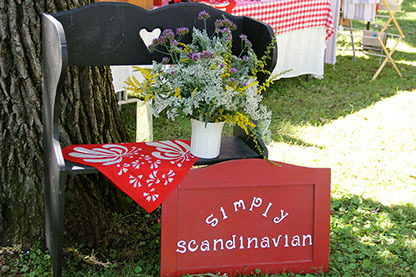 The Park continues to promote Scandinavian culture by holding events that are committed to educating and promoting knowledge and appreciation of Scandinavian culture. People from all ethnicities are invited to participate in the annual Midsommar Festival in June as well as the Fish Boil held in fall. Events are open to the public. Volunteers lend their talents and resources to the ongoing maintenance and improvement to the functioning of the Park. A beautiful Walkway and Garden was dedicated in June of 2009. The family of Walter Anthonsen, past president of Vasa Park and founder of the Scandinavian Day Festival, in conjunction with Scandinavian Park, Inc. dedicated a beautiful gazebo in 2015 that stands as the centerpiece of the beautiful landscape. As the Park fulfills one of its missions to preserve the Park for future generations, a new state-of-the-art playground was installed for the children to enjoy on their visits to the Park. We thank the Boy Scouts Troop 13 under the leadership of Kevin Lee for their construction of the playground. The Scandinavian Park, Inc. board and membership is committed to preserving Vasa Park for future generations.